Nokia has priced their upcoming Lumia 920 smartphone higher than Samsung’s Galaxy S III, a move that has analysts wondering how the Finnish phone maker plans on justifying the premium. In some markets, Nokia’s flagship phone will sell for 25 percent more than the S III. Nokia said the Lumia 920 will retail for around 5,700 Swedish crowns before subsidy compared to the Galaxy S III’s asking price of 4,515 crowns. The gap is smaller in other countries like Italy, however, as Nokia’s phone will command 599 euros versus 530 for the Samsung counterpart. Germany residents can expect to shell out 649 euros for the high-end Lumia but only 530 euros for the S III. Ovum analyst Nick Dillon points out that because the two phones are similar on a hardware level, it would be hard for Nokia to justify the extra cost to consumers. Furthermore, Windows Phone is still largely unknown to consumers who would expect to pay less for taking a risk. Others, however, like Ben Wood from CSS Insight said Nokia’s new phones are expensive to make due to a number of new technologies. He believes they are pricing the phone as aggressively as possible while still maintaining pricing integrity. 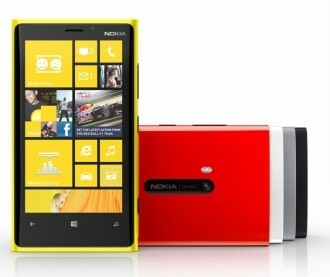 Nokia plans to release the Lumia 820 and 920 handsets in Germany and Italy by mid-November. Denmark, Russia and Sweden will see the phone hit store shelves during the last quarter of this year. The company has yet to reveal launch information for the US where they’ve lost a huge portion of market share to Android and iOS devices.